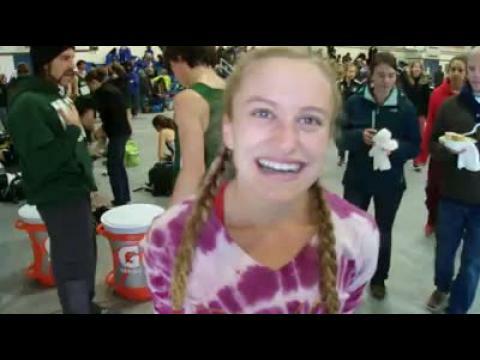 Preview of the Eastern Maine championship meets on the girls' side. Check out which teams and individuals will stand on top of the podium in Belfast on Saturday. Defending champions are Hampden Academy in Class A, Mount Desert Island in Class B and Washburn in Class C. MDI and Washburn are prohibitive favorites to retain their crowns, while Hampden, the KVAC champion, will have stiff competition from Brunswick. Aleta Looker, Carsyn Koch, Tia Tardy, Teresa Murphy, Tessa Cassidy, Elizabeth LaBun and Anna Guadalupi are some of the top individuals. The Lewiston, Ellsworth and Orono boys all ran to team titles at the Eastern Maine regional championships at Troy Howard Middle School in Belfast on Saturday afternoon. With cool skies and a steady breeze hovering over the Midcoast, it turned out to be a great day for racing as a lot of fast times were posted amongst the three races. Ellsworth's Dan Curts and Lewiston's Mohamed Mohamed both returned from injury to lead their respective schools to the top of the podium. Curts, Mt. Blue's Josh Horne and Matthew Toussaint of Fort Kent ran to individual crowns. Eighteen teams and 90 individuals punched tickets to the state championships. Check out how your favorite runners and teams did below! The Brunswick, Mount Desert Island and Orono girls ran to team championships at the Eastern Maine championship meet at Troy Howard Middle School in Belfast on Saturday. With a fast, dry course and a dry day, there were plenty of fast times, with Ellsworth's Aleta Looker setting the standard, covering the course in 18 minutes, 84.85 seconds. Cony's Anna Guadalupi and Washburn's Carsyn Koch were the other individual champions. Check out where your favorite teams and individuals finished. 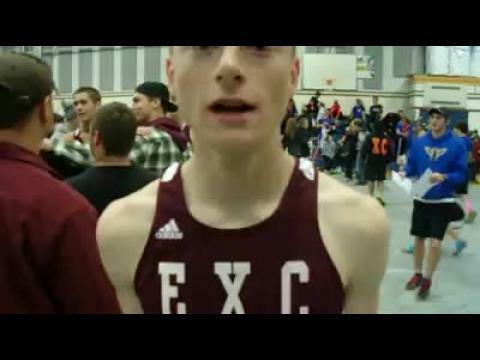 Check out our Eastern Class B Boys & Girls regional meet previews as MaineTrackXC & Tim Even take an in depth look at both individuals and teams.